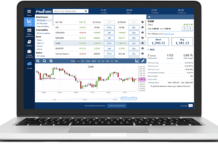 This tutorial is intended to help traders getting familiar with the Plus500 trading platform. 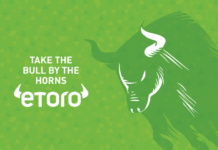 We show you how to create an account and how to open a CFD position. 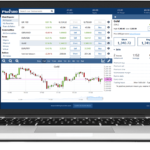 In the meantime, we discuss the possibilities of the trading platform and show you the Plus500 demo account, which offers you the opportunity to trade CFD’s without any risk. 1. What exactly are CFDs? 2. What fees does Plus500 charge? 3. How to open your first CFD? Are you interested in trading CFDs? Click “Start trading” for more information or open an account right away. 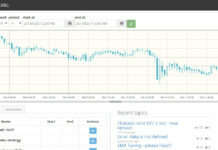 Then you’ll find yourself on a new page where you can download the trading software. You can choose between two different options here. 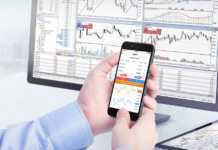 You can choose to use the Plus500 software on your own computer, but you can also choose to use the online WebTrader. If you choose the online WebTrader, you can immediately start creating a new account. If you choose the software version, you will first have to download and install it on your computer. The Plus500 desktop application is suitable for all major operating systems. 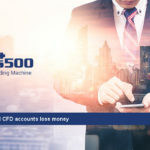 Before we look into all the possibilities that the Plus500 platform has to offer, you have to know what a CFD is exactly and what you have to take into account. A CFD, Contract for Difference, is a product with which you speculate on price movements of certain market assets. This can be a share, but also a commodity, a currency, an index and so on. You need to be aware, though, that you do not own or have any rights to the underlying assets. So the CFD is a financial instrument that gives you only the opportunity to respond to the movements of a share, index, coin pair etc. In this respect, the CFD can literally be regarded as a contract concluded between the trader and the broker (in this case Plus500). This contract is always for an indefinite period of time. In other words, there is no fixed end time. The trader can in theory decide to sell the position back after just a few seconds, but such a sale can also take longer to complete. 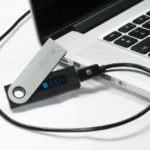 Within the investor world, however, it is assumed that a CFD is usually purchased for short-term sales, usually for a maximum of a few weeks. A Contract For Difference can be an interesting option for traders with a more limited budget. The reason for this is not far off. In the case of a CFD, a margin is used. This means that you as a trader are not obliged to have the full value of an underlying asset on your account. 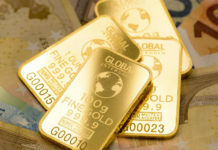 For example, if you want to enter into a CFD with one ounce of gold as the underlying asset, you first have to look at the current purchase value. Let’s fix it at an amount of 1000 euros (as an example). 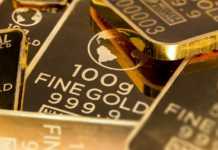 In other words, if you just trade one ounce of gold, it costs you 1000 euros and you need to have that amount immediately available. This is not the case with a CFD. Then you have to look at the so-called margin that applies. If, for example, this is 10 percent, you only need to have 100 euros at your disposal on your account with the broker you have chosen. But how do you make a profit with a CFD? The name ‘Contract for Difference’ already makes it clear that you may keep the (positive) price difference. 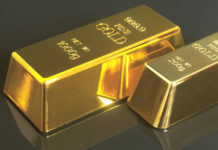 We assume that the value of an ounce of gold rises by 100 euros to a present value of 1100 euros. 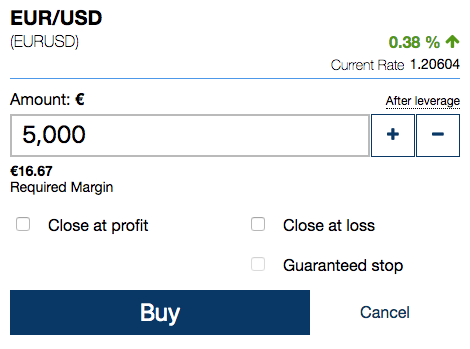 The difference between opening and closing your position is then 1100 – 1000 = 100 euros. The 100 euro was also the amount initially invested, resulting in a profit of 100 percent. In this case, a so-called lever was used with a ratio of 100% / 10% = 10. It also becomes clear that a higher operating leverage would indicate a lower margin of safety. Undoubtedly we will not tell you anything new when we say that trading always involves costs such as commissions. This is no different at Plus500: this broker receives his remuneration from the so-called ‘market spread’. If you trade oil for €78.28 and you close your position at €78.23 then the difference of 5 cents is called the spread. Where conventional brokers choose to charge a certain fee (the dealing commission) for each transaction, this is not the case with Plus500. With Plus500, a commission will never be charged. In addition to the spread, there is also a possible premium that must be paid. If you stay in a position for longer than 1 day, you have to pay a small interest. The funding premium depends on the position you have opened (long or short) and can be added or deducted. A detailed description of these costs can be found on the Plus500 website and can be consulted at any time. Please note, before taking a certain position it is always important to take into account the so-called Premium Time. This is the time at which the ‘overnight cost’ is charged. In order to get an overview of the financing premium and the total cost price charged per day, you can select a certain investment in the main screen. An info icon link can be found next to the instrument’s name in the last column. Click on the icon and a new window will pop up where all costs are displayed clearly. By taking these costs into account, you can never get unpleasant surprises about any fees when trading a CFD. 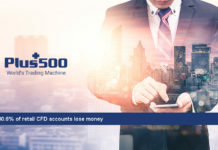 You now have an idea of the costs charged, you know exactly what a CFD is and you have opened your own account at Plus500. Now it’s time to learn how to open your first CFD position. 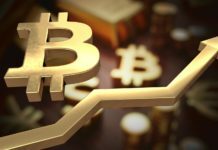 It is up to you to decide whether you choose to make use of a demo account first or whether you want to trade with real money immediately. 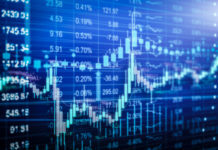 If you have no experience in trading it is highly recommended to go through these steps first with the help of the free demo account. In the main screen you will immediately get an overview of the available possibilities to trade in. At Plus500, you can choose to trade in CFDs on different instruments. This involves shares, commodities, indices or forex. In the first instance, it is important to determine for yourself which instruments you will be trading in. 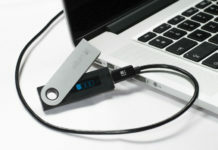 Have you collected sufficient information and would you like to open a CFD? In that case, first click on the instrument of your choice on the left side of the menu. Suppose you want to open a CFD in gold, then you first click on commodities. A new window will then appear with an overview of all the commodities you can trade. Plus500 is about commodities, oil, gold, gold, natural gas, silver, coffee, wheat and so on. A complete list of all instruments can be found on the broker’s website. It is immediately noticeable that you can trade in CFDs in two different ways. You can choose to speculate on a fall (short) or you can choose to speculate on a rise (long). Suppose you want to speculate on an increase and you choose to open a position. 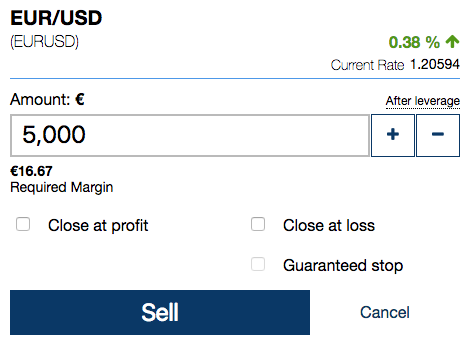 As indicated earlier in this tutorial, Plus500 requires a margin, or rather a guarantee for the trade of your choice. By default you will see three input fields in the trade section: amount and two security settings. First you need to decide how many units you wish to purchase. The value displayed in your screen is the value after lever. Next, you can (and should) put in some security. It is possible to close a CFD automatically when a certain profit or loss has occurred. Certainly enabling the “Close at loss” setting is absolutely necessary, otherwise you can lose all the money on your account if this trade turns against you. Better be safe than sorry! 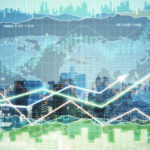 It may be clear that you will always take a long position when you think that the instrument in question will increase in value in the future. At first glance, that may not seem more than normal, but nowadays there are more and more investors who choose to short with their CFDs. 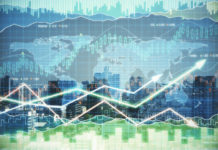 In this case, there is no longer speculation on an increase in the price, but on a decrease in the value of the underlying instrument. Shorting on an instrument is also perfectly possible on the Plus500 platform. Are you convinced that the value of a particular instrument will decrease in the future and would you like to make an effort to do so? In that case it is possible to open a short position. You will click on the instrument of your choice again, but this time you don’t click on “buy”, but you should click on “short”. What is immediately noticeable is that the newly opened trade section contains a “Sell” button. Furthermore, the fields appear to be exactly the same, but that is not really the case. It is indeed true that you will have to indicate the number of units again and that you can opt again for a fixed closing at profit or loss, only in this case there is no speculation on an increase in the price. For example, if the price of your position falls by 5 percent, that 5 percent loss of the instrument will be a profit of 5 percent for you. Should the price of the instrument of your choice rise, you take a loss (remember: you go short and speculate on a drop!). 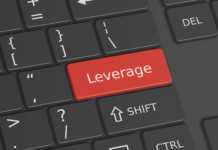 Leverage increases the amount of your loss considerably. Therefore always check the “Close at loss” box. When you are in the main screen, click on “Open Positions”. Then the new screen will be displayed showing all your current positions. If you want to close a certain position, that’s really child’s play in Plus500. In the list of open positions you see the possibility to close the position in question per position. Next to the position of your choice click on “Close position”. Immediately a small window appears in which you have to indicate exactly how many units you wish to close. It is possible to close the entire position taken by you, but you can also choose to close only a limited number. When you have entered the number of units and click Close position, your position will be immediately closed. Once you have closed the position, it will be removed from the open positions window. At the top of the four-part menu you can also find a “Closed Positions” heading. When you click this button, you get an overview of all the positions closed by you in the past. When you look at the overview of closed positions, you will notice that there is a clear indication for each position whether a profit or loss was booked. Of course this is interesting because this way you can decide whether or not the strategy you follow, will bear fruit. 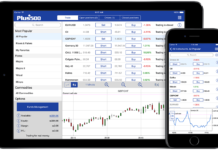 It will not surprise you that many traders will initially use the demo account. The demo account gives you the freedom to practice with a fictitious amount of money without risk. Based on your experience with the demo account, you can then decide at a certain moment to switch to real money. The question is, of course, when are you ready to switch to real money? At the Plus500 platform you can switch from fictitious money to real money at any time. 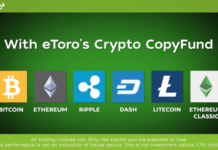 Even when you’re starting with the demo account and you have a good feeling for a certain purchase, you can immediately choose to switch to an account where you trade with real money. When should I switch to real money? As always it depends. It is difficult to say when exactly you should switch from a demo account to a real account. Basically, you should have some knowledge about trading and you need to feel comfortable about it. Do not force yourself into it. Many traders try too quickly to switch to real money because they want to see their efforts translated into returns. That is the fastest way to financial disaster. Take it slowly, trading is about winning money, not losing it. It is sometimes said that trading is just like a sport. You need to keep practicing and gather a lot of knowledge to eventually reach the top. 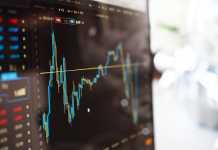 In this respect, maintaining a demo account and analysing the results of this analysis is essential to ultimately succeed as a short-term investor. 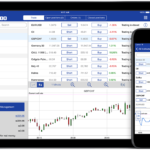 Are you convinced that you have what it takes to trade on Plus500? Then it is time to switch for the real account. The first time you make this choice you will have to provide some client identification. This information is necessary to determine, for example, whether or not the investor in question has reached the age of 18 years. You also need to complete a short questionnaire. The answers to these questions should not only give Plus500, but also the trader himself a clear picture of what he is looking for and what risks he wants to take into account or not. Of course, opening an account at Plus500 is subject to a number of conditions. Being of age is an absolute prerequisite for being able to trade at Plus500. 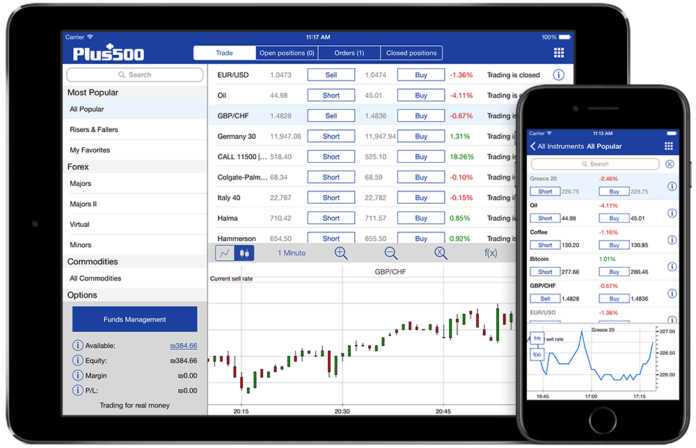 In addition, when opening a real account you will have to indicate that you have taken note of all the conditions and disclosures attached to trading with Plus500. Although it may be hard to digest, it is absolutely important to read the fine print carefully. Once accepted, you will no longer have any reason to indicate that you did not wish to agree with the conditions that apply. From the moment you have opened a real money account you will of course want to deposit the necessary funds. You can do this by clicking “Funds” on the left side of the menu. Next, you can choose between deposit, withdraw, etc. As soon as you have deposited the money and taken a certain position, you will notice that your account balance is subject to continuous changes. The account snapshot shows four different values. There is the Total Amount available on your account, but there is also Equity, the M. Margin and the profit or loss made. 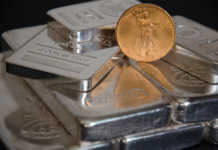 You will immediately notice that the equity can be both higher and lower than the available amount. This is not so strange in itself, because equity is directly subject to the value of your positions. Where the available balance does not take this into account, equity does. Actually, this is the most important value meter for your portfolio or account. The M. Margin is better known to investors as the maintenance margin. This margin is necessary to keep a certain position open. Please note, it is particularly important that the available balance exceeds the maintenance margin. If this is not the case, the broker can choose to have a position automatically closed, regardless of the profit or loss made at that time. It is therefore always very important to keep a close eye on this margin, especially when you regularly open new positions and keep them standing for some time. 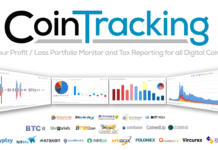 Finally, the account snapshot also shows how much profit or loss has been booked in general. Please note, this is a total picture of all the positions you have opened. Although this global picture is certainly interesting, it is highly recommended not to lose sight of the individual profits or losses.